It’s that time of year again! Prom night for movie dorks is fast approaching. The 89th Academy Awards will air Sunday night (Feb. 26), but let’s be real. Surely, nobody had time to see all of the movies nominated for Best Picture this year. A new survey from The Hollywood Reporter even says that 6 out of 10 Americans could not name one of the Best Picture nominees. But don’t worry. Being one of the dweebs that saw all of them, I got you covered. Here’s a “quick” rundown of this year’s Best Picture nominees. What it’s about: When aliens make first contact with the human race, the military calls on world-renowned linguist, Louise Banks, to try and communicate with the aliens. My review: Arrival is a modern sci-fi masterpiece with its eerie atmosphere, top-notch acting, brilliant twist and superb story. My favorite part: I’m one of those people who falls head over heels for a movie with an intriguing story, and not only does this movie have that, it has one of the most innovative character arcs I’ve ever seen in its main protagonist. What it’s about: Based on the 1983 play by August Wilson, Fences follows the story of Troy Maxson and his family as they deal with dreams lost, futures uncertain, parenthood unstable and race in the 1950s. My review: The story sometimes gets lost in translation between the stage and the screen, but Fences is ultimately saved and redeemed by powerful themes and career best performances from both Denzel Washington and Viola Davis. My favorite part: When the poop hits the fan in this movie, it hits the fan HARD. Watching the dynamic of the family change as times changed along with them was what kept me invested in this whole film. 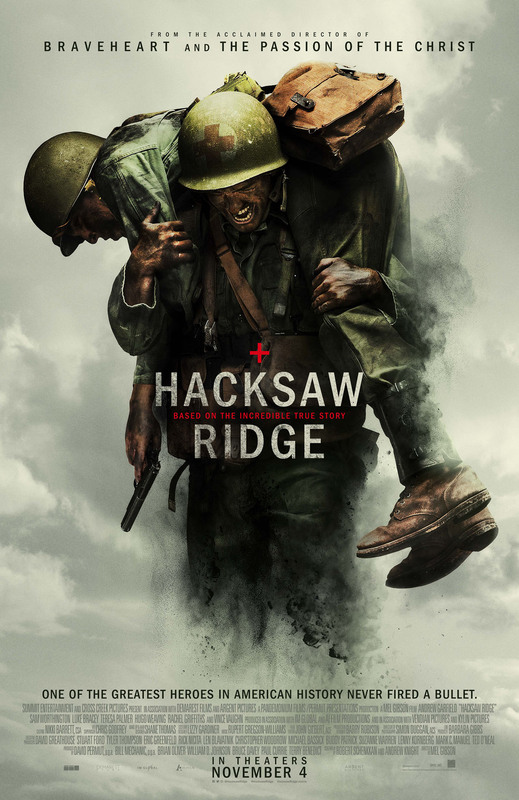 What it’s about: Hacksaw Ridge is a retelling of the true story about a Christian young man named Desmond Doss, who enlists in the Army during World War II as a field medic but refuses to kill anyone or even hold a rifle. My review: The beauty of Hacksaw Ridge is not in its outstanding cast performances or shocking action, but in its reverence for the inspirational man who refused to compromise his morals. Check out my full review here. My favorite part: As a Christian man, I’ve kind of gotten used to walking into movies with Christian characters and seeing them do very not Christian things. This movie, however, gets every little detail about the attitude of a devout Christian correct. Also, there’s a scene where Desmond Doss calls out to God and says, “I don’t know what you want me to do.” What follows is the perfect allegory for how all Christians should live their lives. What it’s about: Hell or High Water tells the tale of two brothers in Texas who go around robbing banks in Texas and the two deputies who set out to catch them. My review: Hell or High Water uses its smart characters to get you invested in its slow-burning but clever story, and it’s one of the most enjoyable pseudo-westerns I’ve seen in a long time. My favorite part: Good movies show you an interesting duel between the good guys and bad guys, but great movies are the ones that make you question which side is good and which is bad, and Hell or High Water puts a unique focus on that idea. Fun fact: I totally didn’t think this movie would get nominated for an Oscar, which is why I initially put it on this list. What it’s about: Three African-American women at NASA fight through discrimination to play key roles in sending the first American into space. 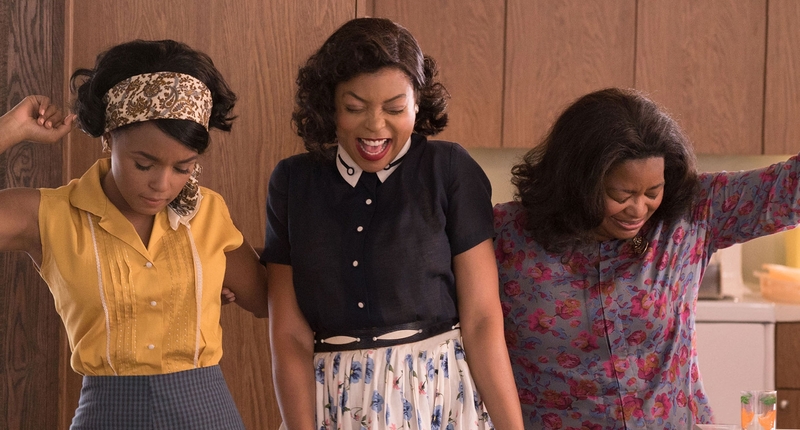 My review: Hidden Figures is a glorious and heart-warming ode to women of color and the unsung contributors of our history, even if it is a little heavy-handed at times. My favorite part: There’s a couple of different parts of this movie that I really liked. First of all, every lead in this movie gets their chance to stand up for themselves and succeed in their field. These scenes in particular are done SO WELL that there was applause in the theater I was in. I’ve only ever experienced that in franchise movies, and to experience it in a movie like this was powerful. What it’s about: When an aspiring actress crosses paths with a jazz pianist down on his luck in Los Angeles, the two will embark on a romance and a journey to follow their dreams. 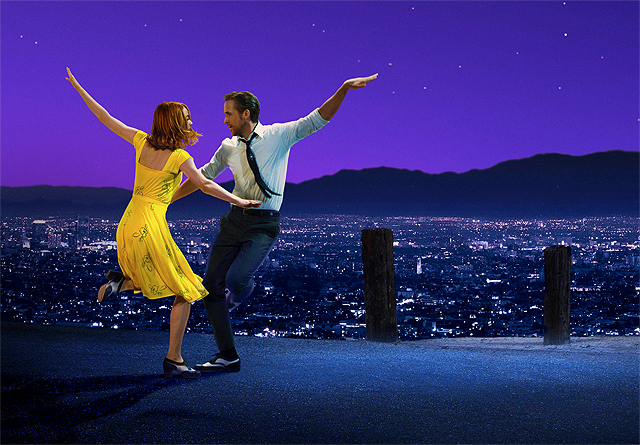 My review: La La Land is a fun, captivating musical that empowers dreamers and perfectly achieves the near-impossible task of whisking you out of reality while at the same time reminding you of that reality. My favorite part: There’s a certain dreamy atmosphere that exists in this film that makes everyt little aspect of it more enchanting than it has any right to be. Perhaps it’s the inclusion of the wonderful music, or perhaps it’s the color palette. Any time I think of this movie, I can’t help but see that deep shade of purple in my mind. Also, Emma Stone’s performance of the song “Audition (The Fools Who Dream)” is a surprisingly emotional scene that summarizes the whole point of the movie in the best way possible. What it’s about: Lion outlines the struggle of a young boy from India who one day gets separated from his family, and later in his life, takes on an impossible journey to find them again. My review: This movie is such blatant Oscar-bait, but that doesn’t diminish how emotionally raw and moving this young man’s story is. My favorite part: One of the things I love most about movies is that they often give us windows through which we can glimpse at the hardships others deal with. For this reason, my favorite thing in Lion is how openly it speaks on themes of adoption, even though it absolutely wrecked me at times. What it’s about: After the sudden loss of his brother, Lee Chandler must return to his hometown to watch over his now-fatherless nephew and face demons from his past. My review: Manchester by the Sea is so melancholy and devoid of hope that its storytelling tactics that many have called “subversive” really just struck me as frustrating. My favorite part: As well-crafted as this movie is, there wasn’t much that I liked about it on a personal level. The story is one that leaves you wondering at the end of the film, “Was that really worth my time?” Amongst all of my complaints, however, I was definitely interested in Lucas Hedges’ performance as Lee’s nephew. The way he portrayed a kid struggling with grief was super realistic, and I appreciated that. What it’s about: Follow the life of an African-American man struggling with his sexuality and loneliness through three different stages of his life. 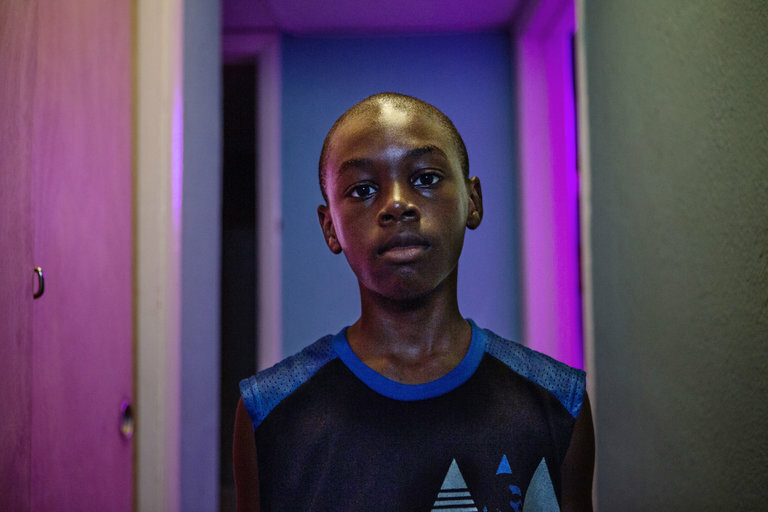 My review: Moonlight offers up strong performances and a compassionate look into complex characters and worldviews, but I unfortunately had great difficulty connecting with the film due to its complete lack of story. My favorite part: I didn’t really like this movie that much, but unlike Manchester by the Sea, my dissatisfaction had nothing to do with the themes presented by the film. I’ve never really been able to get fully invested in films that prioritize character over story, and in Moonlight, there is very little story to be found. However, all of the performances and characters in this movie are honest and complicated. It’s often extraordinarily difficult to present characters with certain attributes as real people, and Moonlight excels in reminding its audience that no human on this earth falls into a stereotype. Everyone is complex. After looking at these 9 movies, the question still remains: which of these films will take home the coveted golden statue for Best Picture? If you’ve been keeping up with some of the other award ceremonies this season – Screen Actors Guild, Producers Guild, Directors Guild, Writers Guild – you probably know the answer to this one. Seeing that La La Land has tied with films like Titanic and All About Eve for the most nominations ever, this year looks to be a “La La Landslide” (I didn’t come up with that, I swear) with La La Land taking home numerous awards, including Best Director and Best Picture. Depending on how many wins the film takes in Sunday night, La La Land could mark a couple of historic points. –If Damien Chazelle wins Best Director, he will be one of the youngest directors to have won the award. La La Land is only Chazelle’s third film. His previous film, Whiplash, was nominated for five Oscars in 2015 and won for Best Sound Mixing, Best Film Editing and Best Supporting Actor (J.K. Simmons). –If La La Land wins more than 11 awards (certainly, a feat), it will beat out Lord of the Rings: Return of the King for most Oscar wins in history. As for the movies that I’d want to see win, I think La La Land is absolutely deserving of the praise it’s getting, and I’d be more than happy to see such a fun film that was well-liked and fairly mainstream walk away with Best Picture. However, the part of me that likes to root for the underdog would love to see Arrival or Hacksaw Ridge take the top prize, even though there’s virtually no way that will happen. What do you think of this year’s nominations? Are there any movies that you saw last year that you think deserve to be on this list? Let me know in the comments below!